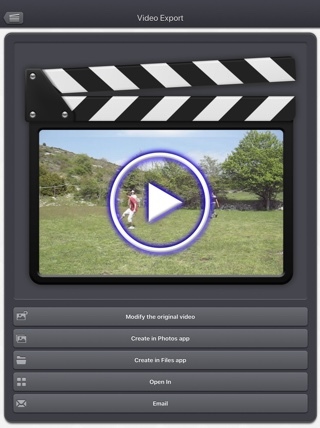 Subliminal Video is an application that allows you to add hidden images and messages in your videos. 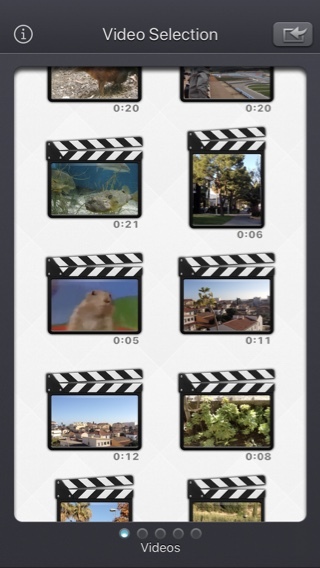 Select and customize as many video frames as you want, replacing them with new images and texts. Most of the viewers won't consciously see those subliminal images, which are displayed for a very short time. They can, however, have an unconscious impact on their mind. Use this application just for fun, or to trick your friends. It is now possible to create videos like the famous “Drink Coca-Cola” and “Eat Popcorn” controversial subliminal advertising (in 1957 by James M. Vicary). More recently, the movie Fight Club also used subliminal flashes to insert hidden pictures of Tyler Durden at different points in the movie. 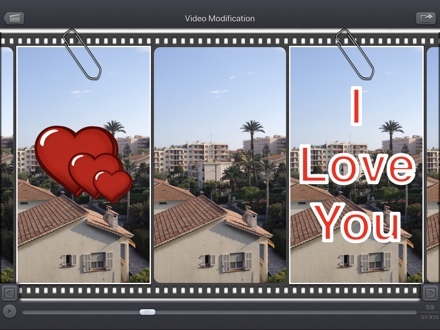 The application can also be used to tag small parts of the videos with a text of your choice (for instance your signature), so there will be a visual (but slightly hidden) proof that the video is from you. Q : Can you explain how to use the application? 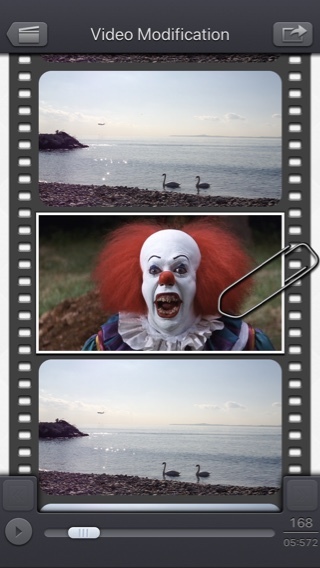 The goal of the Subliminal Video app is to change some specific images of a video. First, see the (old but still relevant) video in this page that goes through the main features of the app, and that will show how to use it. The Video Selection screen allows to select the input video. The videos displayed are the ones located in the photo app. 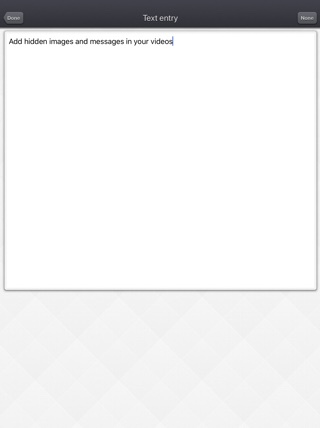 Swipe up/down to view more videos. You can swipe to the left or right to view more specific videos. For instance, videos Located in the iTunes File Sharing can displayed (the videos that you can add in the Subliminal folder using iTunes). 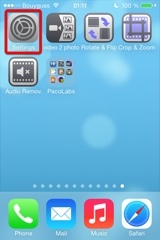 You can also directly record a video, using the top right button. Touch the video you want to modify to go to the Video Modification screen. The Video Modification screen allows you to see all the frames of the video. Swipe up/down to view the images in the video, one by one. Move the slider at the bottom to have a quicker scroll. Long press the arrows, at the bottom, to show the next or previous frame. You can press the bottom play button to play/stop the video. 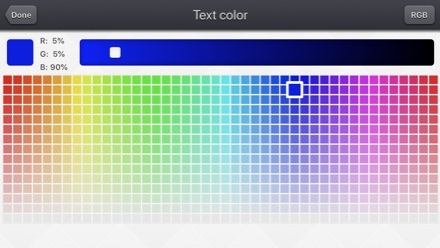 (while playing, touch the video to view it full screen). Tip: While using the bottom movie scrubber, you can slide your finger from the bottom to the top for higher precision. Tip: Long press the arrows, at the bottom, to advance or rewind the video frames by frames. Tip: While the video is playing, long press the arrows to fast rewind or fast forward. Thanks to this Image Modification screen you are able to modify the selected frame. 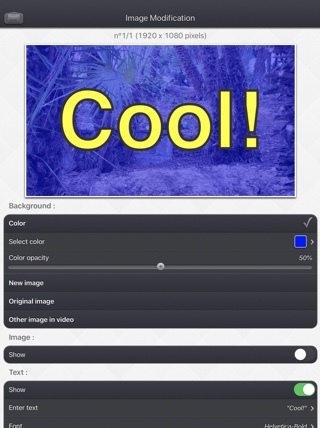 There are a lot of things you can do like adding a photo, some text, displaying some color or another image of the video. You can see the modifications in real time since the updated image is displayed in the top part of the screen. delete the modification (using the dedicated button at the bottom part of the screen), if you don't want this modification anymore and want to keep the original frame intact. delete all the clones (using the dedicated button at the bottom part of the screen), if you want to revert all the frames that have been modified with similar modifications. 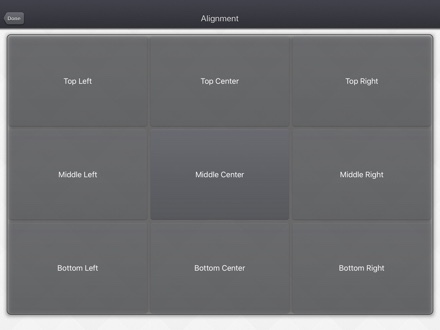 accept the modification, by pressing the top left back button of the Image Modification screen. You will then go back to the Video Modification screen, and the changes you performed in the previous screen will then displayed. 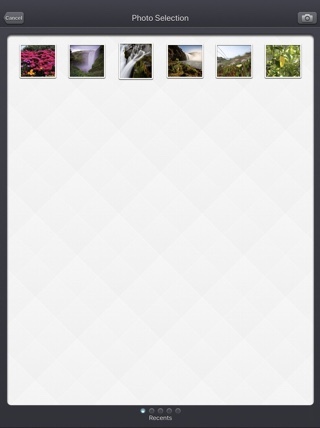 When a frame has been modified, it will be surrounded by a white border. If needed, you can select it again to update or clone it (or delete the modification). You can press the bottom left/right arrows to quickly go from an already modified frame to another modified one. You can modify as many frames as you want. 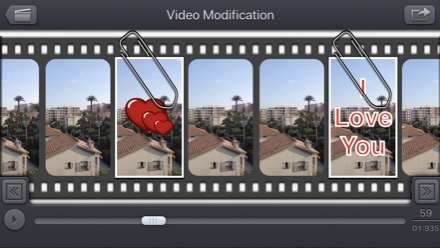 Once all your modifications are done, you can press the top right Export button of the Video Modification screen. 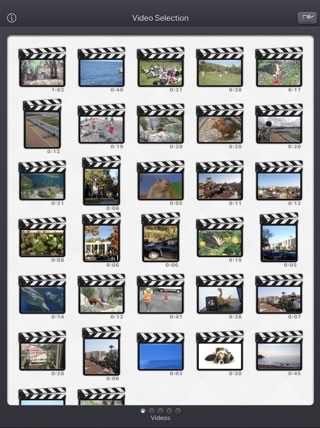 Going to the export screen will generate the complete movie including your modifications. This generation can take some time, according to the performances of your device. 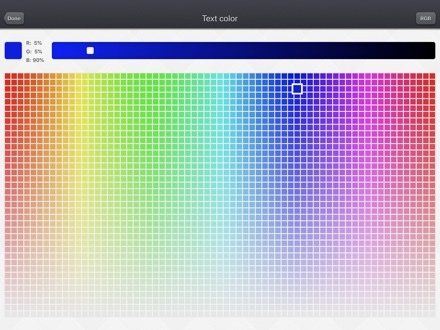 Once generated, you can view the result and you can export in different ways (using the dedicated button in the list), but the most common one it to the Camera Roll. If you want, once exported you can click on the top left back button (two times) to select another video, and to create another Sublimial Video. 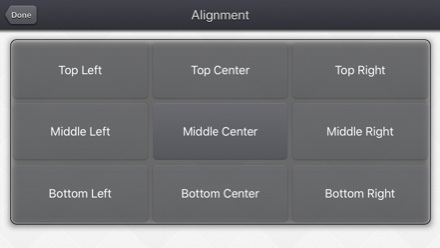 In all screens, pressing the top left button will go to the previous screen. You can rotate your device, if you want. 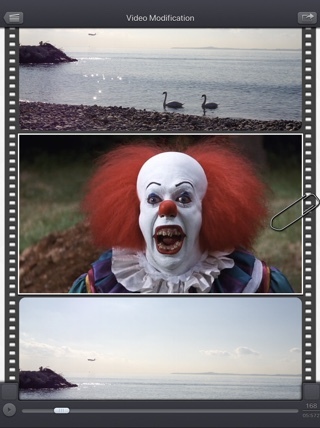 Some videos are more adapted to a landscape orientations. 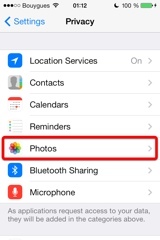 You must go to the Settings application -> "Privacy" -> "Photos", and set the app (Subliminal) to ON. Unfortunately, Subliminal Video (and every other app from the Appstore) cannot access those videos in the Video application yet. Subliminal Video, also supports the iTunes Files Sharing feature, so you can manually add some external videos to Subliminal Video quite easily. When selecting the image, it is now possible to target a specific time or image number (by clicking on the image number at the bottom right of the screen). 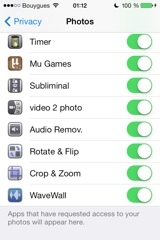 When the media is saved to the camera roll, it is automatically associated to an album named "Subliminal Video". Smaller memory usage on older devices (with less than 1Gb ram) running iOS12 or higher, to avoid some potential crashes. 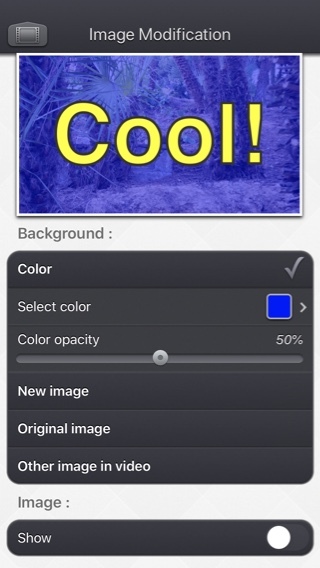 New : An image can be now easily added (zoomed and placed) as an overlay (the same way the text can be added). 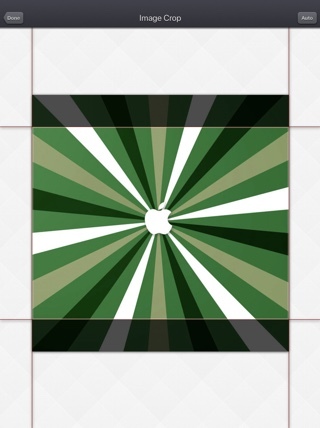 New : A set of transparent icon images is provided and can be used as image overlay. New : In case of an input video selection change, It is now possible to save the current video (if it was imported from an external application or if it was directly recorded using the camera), avoiding any unwanted data loss. 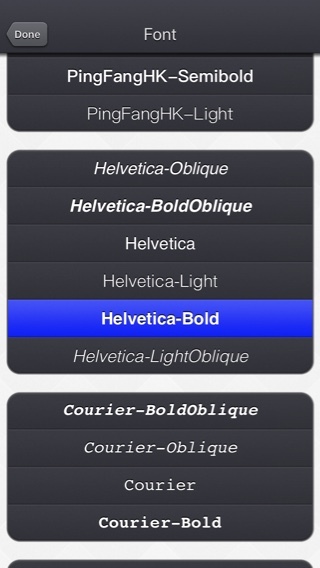 New : Icons added to the to export buttons, for a quicker identification. New : subliminalvideo:// scheme support to launch externally Subliminal Video. 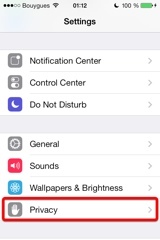 New : Disable automatic device screen lock (causing a potential application close) during long conversions. 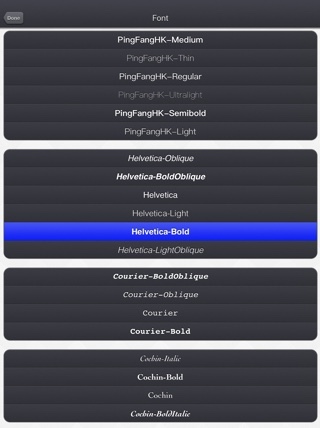 Change : Remove device status bar in full screen image modification preview. Change : When exported using the Open-in feature, the video file name is correctly set (to the same one than the one used for email or iTunes file sharing). New : It is now possible to clone a modification in order to apply the same modification to several frames at the same time. New : The preview image in the image modification screen can now be visualized in real size (pinch, long press and press gestures handled). New : Improved bottom movie scrubber. The scrubbing speed is variable (like in the iPod app), allowing a more precise control when your finger is moving away the bar. Fix : Stability improvements of the application during the video generation. 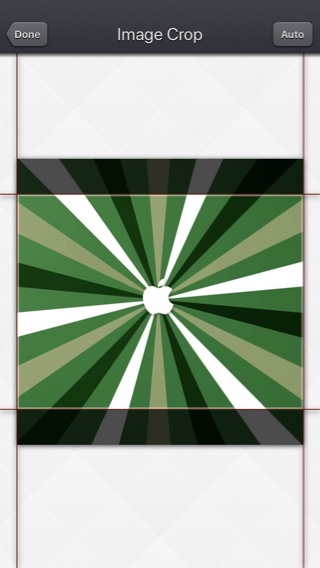 New : iPhone5 screen support. New : When possible, some meta-information associated to the original video (like the GPS location) are also associated to the modified video. 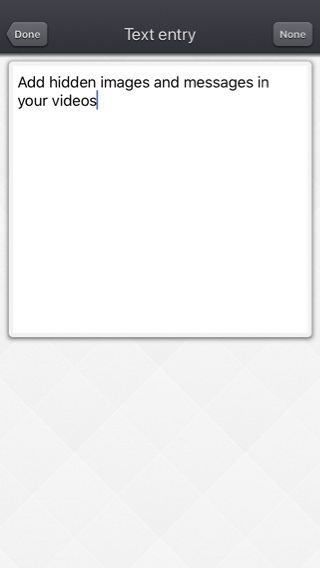 New : On iOS6, "Open In" export feature allowing to send a video directly to another application (handling video import). New : Video import Handling to allow other applications to directly send videos to the application. New : The preview image in the Image modification screen is now always visible, allowing you to quickly see the effect of the modification. New : Improved handling of rotated and flipped videos. Change : The video preloading can be cancelled, pressing the back button. Change : Allows music player to continue playing after the application launch. Change : Name changed from Eye Blink to Subliminal Video. Fix : Various bug fixes and improvements.